Arthur Curry is the king of the seven seas, and Aquaman is the king of the DC Extended Universe. The Jason Momoa-led superhero flick has just swam past Batman v Superman: Dawn of Justice at the global box office, surpassing it in ticket sales to become the highest-earning DCEU movie in history. Batman v Superman previously held the title with the $873.6 million it earned during its theatrical run in 2016, but on Saturday, Aquaman snatched the crown when its combined domestic and international earnings reached $887.6 million (via Box Office Mojo). To reach the very top of the DCEU revenue power ranking, Aquaman first bested Justice League (which earned $657.9 million globally throughout its run) — doing so during its very first week out in the U.S., where it launched on December 21 — and then shot past Man of Steel (which took home $668 million). Thereafter, the James Wan-directed pic beat out Suicide Squad ($746 million), and just recently surpassed Wonder Woman ($821.8 million). Since swimming ashore in China on December 7, two weeks ahead of its domestic release, Aquaman has dominated the box office, sticking his trident in the top spot and keeping it there for four weekends straight. Adding to the film's list of accolades, it has now become the second best-earning superhero movie of all time in China, where its only superior is Avengers: Infinity War. 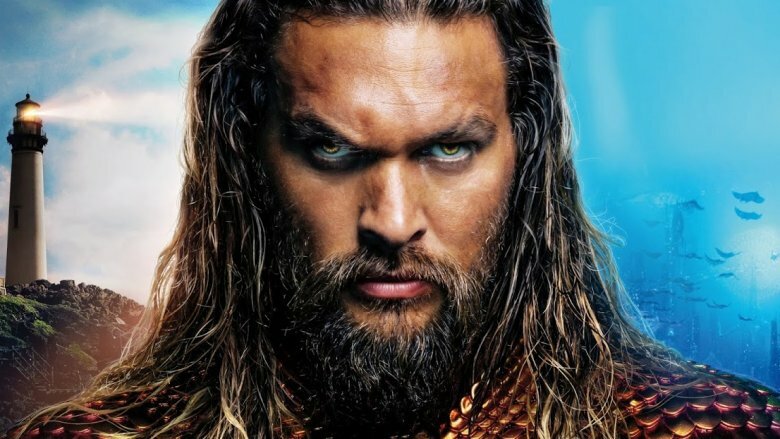 Most of Aquaman's earnings have come from territories outside the U.S. and Canada, with overseas audiences shelling out a total $649.3 million to see the fish-guy juggle his half-human, half-Atlantean identity and stop his power-hungry brother Orm (Patrick Wilson) from destroying the surface world and turning the underwater kingdoms against one another. Industry analysts are confident that Aquaman will have little trouble reaching the $900 million mark before the end of the weekend, due in large part to the enormous stack of cash it has taken in across the world. A $1 billion cumulative pull is "certainly a possibility in the coming weeks," Deadline predicts, depending on how well the film continues to perform internationally. In becoming the biggest DCEU movie of all time with its near-$900 million pull, Aquaman has also out-performed two major Marvel movies. The film, which also stars Nicole Kidman as Queen Atlanna and Amber Heard as Mera, has earned more than both Thor: Ragnarok ($853.9 million) and Guardians of the Galaxy Vol. 2 ($863.8 million). Additionally, Aquaman has also raked in more beaucoup bucks than Sony's Venom did late last year. The Tom Hardy-starrer managed $855.5 million worldwide when it debuted in early October 2018. It's important to note that while Aquaman is flipping its fins through waves of moola overseas, the film still has a long ways to go if it ever wants to become the number-one DCEU entry at the domestic box office. As of January 5, Aquaman has earned $238.3 million in the U.S. — sitting below Wonder Woman's $412.5 million, Batman v Superman's $330.4 million, Suicide Squad's $325.1 million, and Man of Steel's $291 million. Though it's unlikely that Aquaman will be the best DC movie in terms of domestic revenue, the fact that it has already (and almost effortlessly) bolted to the top of the DCEU thanks to its international revenue is nothing to turn a nose up at. Aquaman is shaping up to be the breath of fresh air — or, more appropriately, the splash of cool, salty sea water — that the DCEU has so desperately needed for years now. 2017's Wonder Woman carved out a new path for the film franchise to continue on, and it's evident that director Wan, lead actor Momoa, and the rest of the Aquaman cast and crew wisely followed in its footsteps with a "breathtakingly beautiful, weird, badass" superhero fantasy-adventure. Critics truly dig the film, which they feel "swims with its entertainingly ludicrous tide, offering up CGI superhero spectacle that delivers energetic action with an emphasis on good old-fashioned fun," and there's no denying that fans love it, too. Whether the DCEU can keep up this momentum when it rolls out its next superhero movie, Shazam!, remains to be seen. However, we're more hopeful now than ever before that the tides have finally turned in the long-struggling franchise's favor and that the DCEU will only get bigger and better from here.